The Deputy Gubernatorial candidate of the Peoples Democratic Party (PDP) in Imo State, Hon. Gerald Irona, has assured people of the State of good governance when voted into power in 2019, reports ITREALMS. 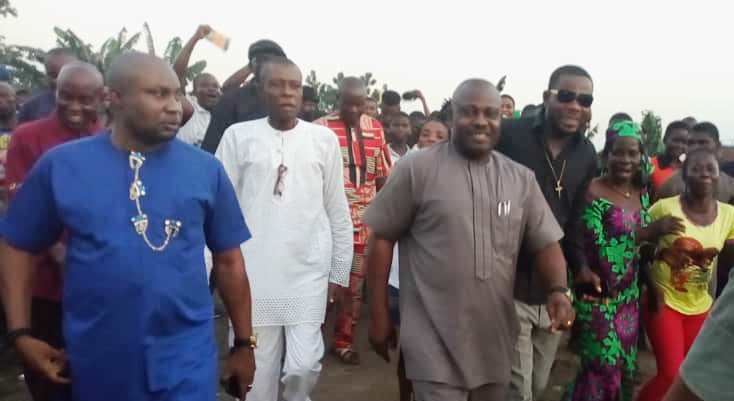 He gave this assurance weekend, while inaugurating the Imo Restoration Vanguard and Ihedioha Campaign Committee in Eziorsu, Oguta Local Government Area of the State, reiterated the commitment of the PDP team to bringing the dividends of democracy to the door steps of the people. A press statement by the Adviser, Communications to Rt. Hon. Gerald Irona, Dr. Walter Duru, made available to ITREALMS, quoted him as charging people of the area to resist the temptation of selling their votes for peanuts in order to secure the future of the state. In their respective speeches, some leaders of the area- Messrs. Charles Mazi, Clinton Ifejirika and Kingsley Ngwuruakor Adigwe were unanimous in pouring encomiums on Hon. Irona, describing him as a dependable leader. They pledged their support to the Ihedioha/Irona joint PDP ticket, describing it as the best option for Imo state in 2019. The highlights of the occasion were speeches, cultural dances and defection of persons from other political parties to the PDP, among others. No fewer than five thousand persons from Eziorsu town and other parts of Oru Ward were present at the event.